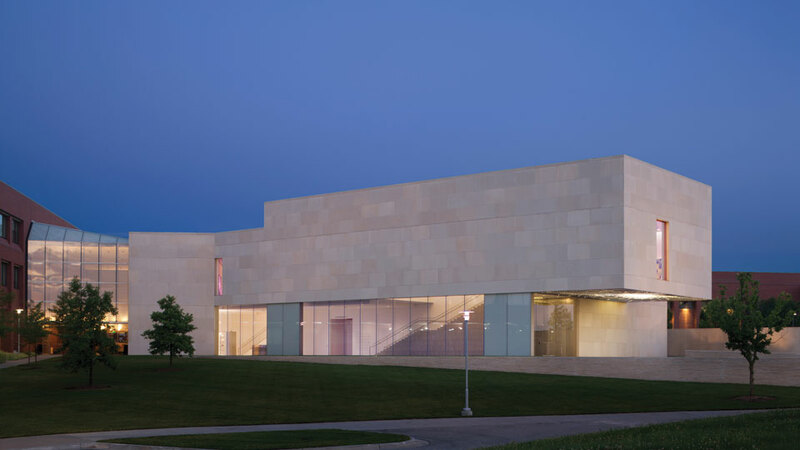 Free group tours are available for student groups and visitors by appointment. Docent-Led Tours – To request a docent-led tour, please submit your request with details. To help us with scheduling and preparation, we appreciate if you notify us a minimum of three weeks prior to your preferred date. Docents work by appointment only. You will receive an email or fax acknowledgement once your request has been received, and you will receive an email or fax confirmation once your reservation has been processed. Self-Guided Tours – To make your reservation for a self-guided tour, we appreciate your helping us with scheduling by notifying us one week or more before your preferred tour date. Space is limited, and priority is given to previously scheduled groups and tours. Free guided tours are led by docent volunteers who have completed a comprehensive training program through the museum. Informative, interactive art appreciation tours are designed to facilitate understanding of contemporary art in our exhibitions and in the permanent collection on view throughout campus. Tours are available for college classes, community groups and school groups, starting with kindergarten, with five to 50 individuals. Tours are typically one hour and cover approximately 10 works of art. Guided tours will be offered by reservation only on Tuesdays, Thursdays, Fridays or Saturdays between 10 a.m. and 4 p.m. pending docent availability, excluding days the college is closed. Refer to our our group and tour guidelines for information regarding group size and chaperones. The museum is free and open to the public during regular hours. Printed visitor orientation guides are available at the museum information desk, or copies may be mailed upon request.